It’s Autumn in Los Angeles. Well, actually, it’s Autumn everywhere. Except the Southern Hemisphere. It’s Spring down there. I think. 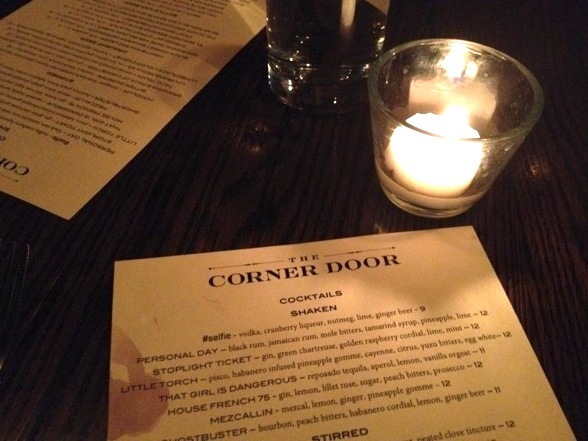 The point is that we — as a global community — are in a different season than we were, say, two months ago, and to celebrate the leaves changing color from green to slightly less green, The Corner Door in Culver City, CA has trotted out some autumnal cocktails. What better reason to head all the way down to this nifty gastropub for a media-comped meal, replete with cinnamon smoke and beignets.